See what the experts say is in store for furniture, color, pattern, and accessories in 2019. Ring in the New Year with an easy decorating update. 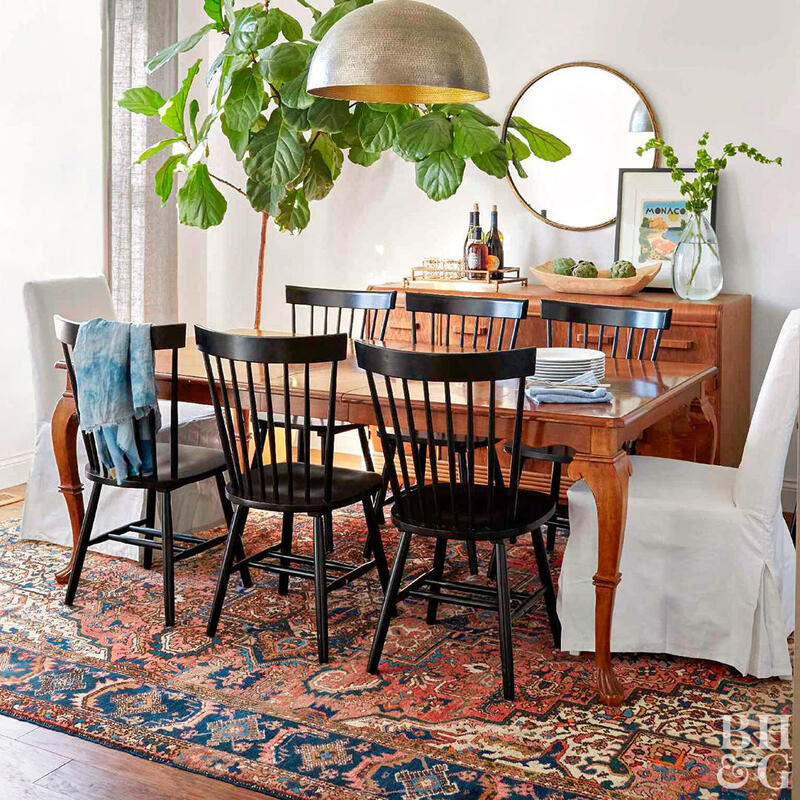 Whether you choose to beat the winter doldrums by bringing nature into your space with lush houseplants or you go a bit quieter with soft, curvy furniture and a hygge-inspired design, these eight decorating ideas offer a little something for every style. 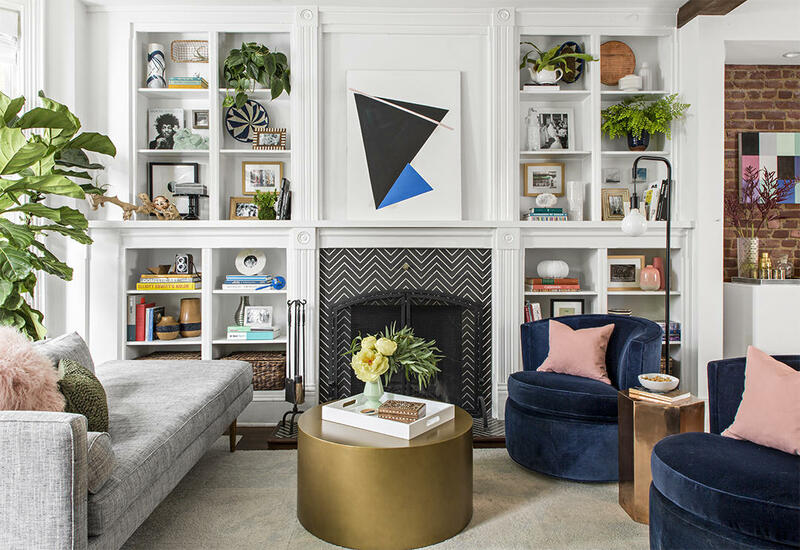 We chatted with designers, color experts, and industry leaders to get the scoop on the top 2019 decorating trends. Here’s what they predict will take off. There's been a resurgence of wallpaper thanks to fresh new colors, patterns, and easy-install qualities, and now, thanks to those same concepts, wall murals are on the rise too. 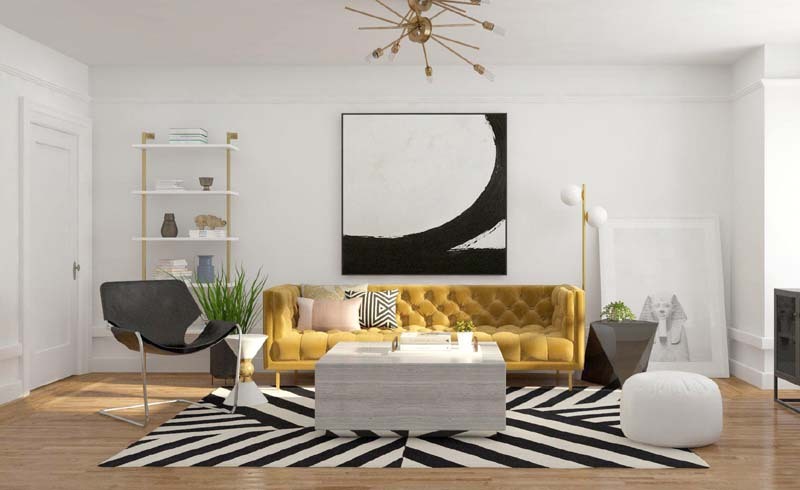 “We have seen our wall art category grow year over year and believe it will only continue to go up given its increasing popularity in the home décor space,” says Andrea Stanford, Senior Vice President and General Manager for Society 6. A large-scale piece of art can be costly, but wall murals provide the same solution at a friendlier price point. Plus, they can be easier to put up (and remove) than wallpaper, which provides the added option of changing looks seasonally or as desired. “People love expressing a little bit of their personal styles using wall murals,” Stanford says. You already know that adding a plant to a room provides a pop of fresh color and can help purify the air, but what about an abundance of plants? A desire to reconnect with nature is an innate reaction to the stresses of our world. 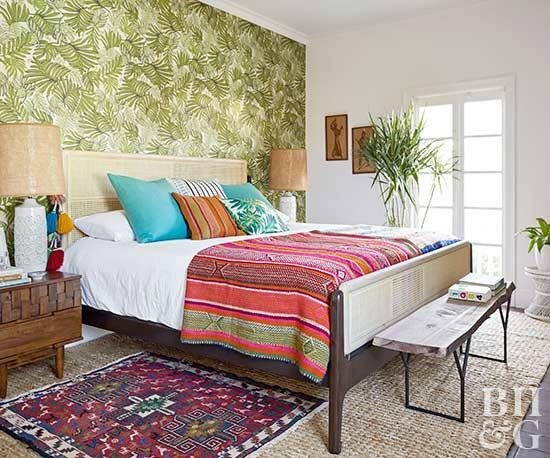 This desire has led to an increase in indoor-outdoor connections and a rise in spaces with a luscious, jungle-like vibe. “Nature has a soothing effect on us, so we have an instinct to bring the outdoors in,” says interior designer Justina Blakeney. “Bringing colors, textures, and, of course, plants into a home is a great way to keep the flow between indoors and outdoors going, and it's a great way to incorporate the good vibes the natural world has to offer.” If you want to incorporate more plants into your space, but aren’t a green thumb, Blakeney suggests low maintenance plants like the ZZ Plant or Mother-in-Law’s Tongue. 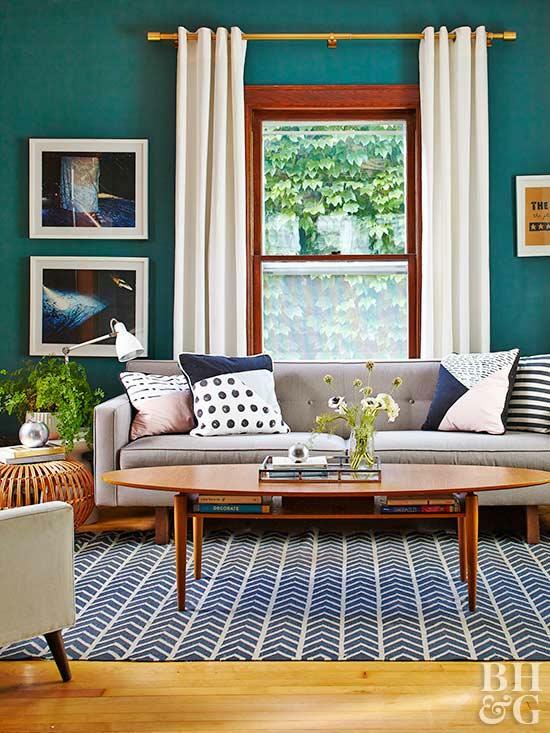 Invest in a great rug and see how it transforms the feel of a room. Whether you go with trendy florals and geometric patterns or a classic Moroccan print, you won’t regret the warmth and dimension a high-quality rug adds underfoot. “I think nice wool rugs should last you a lifetime but they can be an investment,” says designer Holly Hollingsworth Phillips, who loves to use rugs with pattern that can help disguise the wear and tear that come from children and pets. “I have a few favorite sources for rugs on Etsy,” she says. “It is an amazing source for vintage and one-of-a-kind rugs.” Phillips suggests thinking about your lifestyle and the kind of traffic a rug might see before taking the plunge, but ultimately buy what you love. 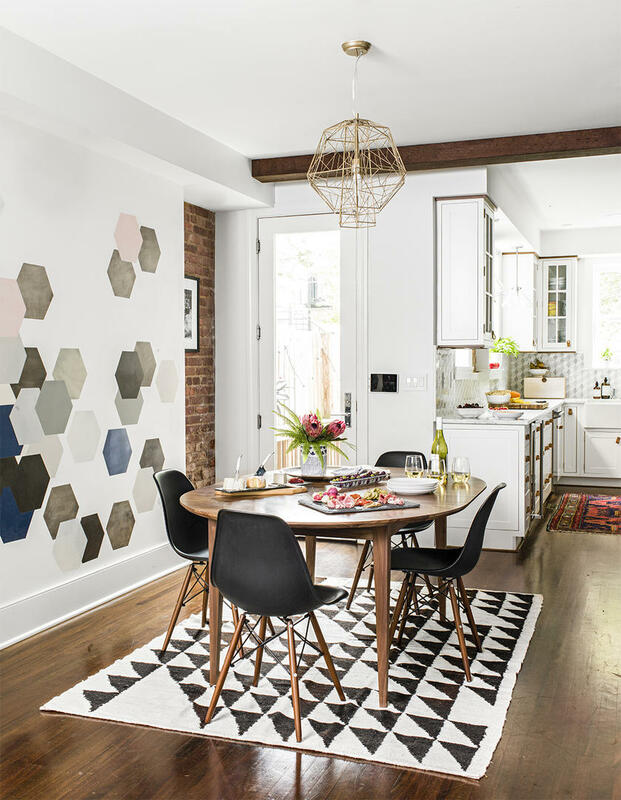 It’s hip to be square, and the use of cool geometric patterns in the home decor space are more popular than ever. 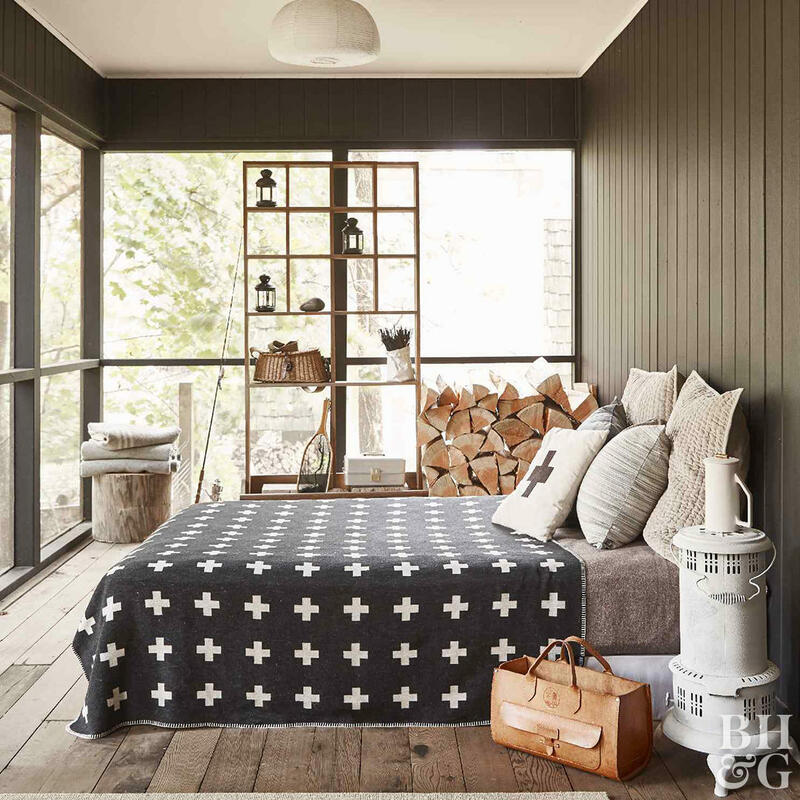 “Geometric patterns definitely continue to trend,” confirms Lynai Jones, owner and CEO of Mitchell Black Home Decor. Thanks to their inherent order and simplicity, geometric patterns have an appealing versatility. “Angles created by straight lines in contrasting colors create both order and chaos, thereby appealing to a wide audience of those who appreciate clean lines and math, as well as those who revere color, design, and art,” Jones says. Whether on the wall, underfoot, or on fabric, the repetition of geometric patterns both big and small is pleasing to the eye. We love the appeal of soft lines on curved furniture, and it turns out we’re not alone. Designer Kim Scodro’s new collection with Pearson is all about graceful lines and beautiful textures—think plush velvet and rounded edges. 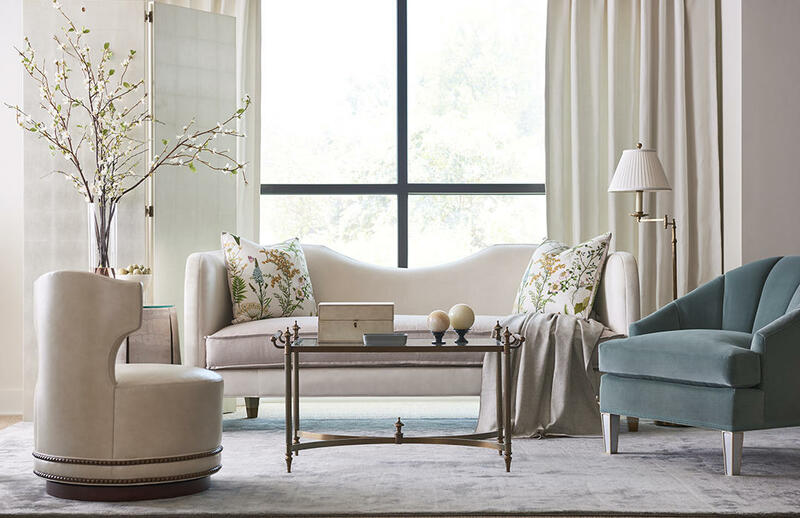 “There will always be a market for soft lines and a gentle palette,” the designer says. “Our clients are looking for a calm, peaceful space, and soft lines, soft color, and gentle metals help create that.” As an added bonus, curved pieces naturally have a more welcoming feel. What’s not to love? 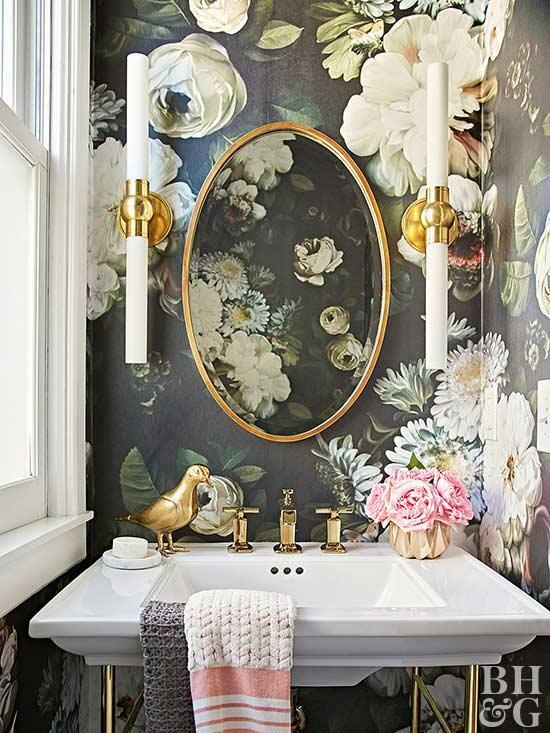 Floral patterns are elegant, classic, and stand the test of time, and with an increased desire to bring nature indoors, florals continue to be popular. But these aren’t your typical florals of yesteryear: we’re talking big, colorful flower power. “As the trend continues, we are seeing lots of interest in multicolored florals,” says Lynai. “A single flower may be beautiful alone, but when joined in a bouquet with flowers of varying shapes, colors or hues, it's beauty can be drastically enhanced.” If florals appeal to you, don’t be afraid to go big and bold with an oversized print and beautiful colors. Hygge (pronounced hoo-guh) is the Danish word for a cozy, contented feeling. A special dinner with friends is hygge, as is lighting a fire in your fireplace, and it’s a term we’ve quickly latched on to in the decorating realm. 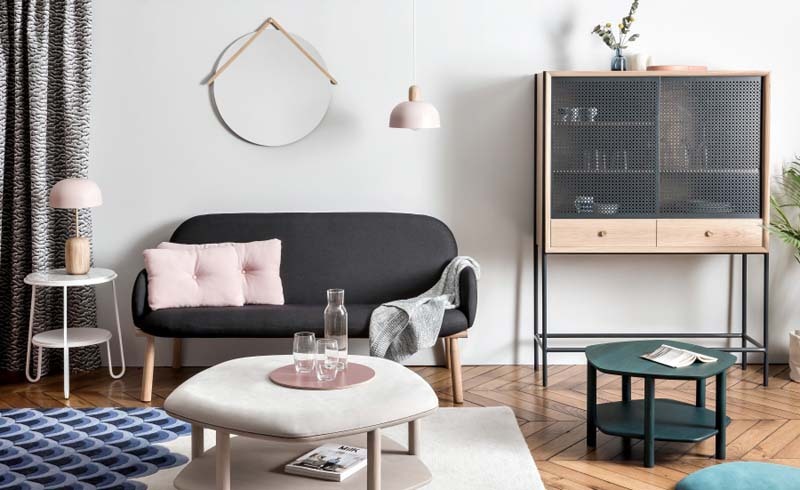 San Francisco-based designer Kriste Michelini says hygge is all about making your space cozy and celebrating simple things. What we love about the hygge trend is how personal it is. Whether it’s as simple as curling up with a new chunky throw blanket or going all in by decorating with warm wood tones and soft, plush surfaces, you’ll know hygge when you feel it. Ready to go green? Our desire to connect with nature has brought an array of delicious green hues to the forefront of design. “Earthy, rich greens are absolutely on the rise in homes across the country,” confirms Erika Woelfel, Vice President of Color and Creative Services at The Behr Paint Company. “People are looking to create an oasis at home where they can escape the stress of the world and technology, and green creates that cocooning effect,” she says. Green engages the senses and symbolizes life, growth, and renewal thanks to its association with nature. For those who aren’t afraid of color, Woelfel says green is a great choice because it is generally gender-neutral and universally-loved.